Just hope it doesn't end in disaster. it is very easy to lose your way very quickly when you get outside of the business model you understand. Cebu is the latest example. This winter BGI is also getting 3x Weekly Air Canada Rouge B767-300 from YUL. This is an increase from 4x weekly A319's last year. That's a one way seat increase of 300 weekly for the winter season. Also starting this November, the JetBlue EWR-BGI-EWR Saturday flight will now operate year round! Interesting development that this has gone year round Saturday's will be pretty busy at BGI. I wonder if the new government will be looking for some additional airlift from Europe. It's amazing to me that JetBlue can get that route to work but United won't fly it even as a once weekly. With the exception of IAH-POS, United is pretty weak to the E. Caribbean. B6 has been able to make flights the US3 cant into BGI AA,DL from JFK and CO from EWR all pulled out. I am surprised AA has not given a weekend PHL-BGI a try for the winter season. Sunwing has added weekly seasonal YYZ-TAB service this winter. Great news for TAB. Seems to be a partnership with Starfish resorts (their in house brand)and Rex resorts. That's good for TAB. For some strange reason they haven't been too successful in marketing to the North American visitor even though their tourism product isnt any worse than many of their competitors. Any word on BW's RFP? From 19 December UA will have a daily EWR-POS for a couple of weeks. But the fact is that of all the US majors UA has long been the least interested in the Caribbean. Even the takeover of CO hasn't changed their thinking. It isn't just the North American market which is embarrassing with only a weekly BW flight from JFK which continues onto POS: TAB has only BA and VS from LGW (twice weekly and weekly - but twice-weekly this winter) and DE from FRA (weekly). All flights are shared (ANU for BA, UVF for VS, BGI for DE). There are good hotels within a short drive from the airport and the beaches are fine as well. My understanding is governmental incompetence in promoting Tobago has resulted in far fewer visitors than you would expect to see. Neighbouring Grenada with similar tourism products does much better. RFP for what, their A320NEO order? T&T is shutting down their oil refinery with unknown impacts on thousands of reasonably well paid blue collar workers and their families. I don't think that an order for new planes paid for with some sort of gov't support is going to go over too well. TAB is on par with GND in its European markets. At least in terms of its airlift. Its North America that it is behind. I really am not sure that governments can develop markets in the USA unless there is some other marketing muscle, or unless they are already well established, like Jamaica and the Bahamas. The major catalyst for BGI recapturing its US market was Sandals and then B6 expansion. Maybe when the Sandals property opens up TAB will become more competitive. GND only began to boom in the US markets after Sandals opened up. It was more of a VFR and educational tourism market before that (St Georges Univ). BGI's US market became revitalized when they opened up properties on that island. SLU also became more of a factor several years ago when Sandals acquired properties on that island. US travelers prefer the northern islands which is a big reason why TAB isnt popular. This might actually work to its advantage in that its seen as exotic with the whole Robinson Crusoe image. This might allow a more upmarket crowd as I dont see TAB ever becoming a mass market US destination, given that SXM and other islands are 1 hour nearer to the US. You never know switching manufacturers is not a far-fetched idea. Other carriers worldwide have done it. At the end of the day it comes down to $$$ not loyalty. Valid point however when your main competiors are fielding more fuel-efficient planes on competitive routes you will have a problem. BW's oldest 737 is just shy of 19 years old. A good amount of life left but a plan should be coming together on their replacement. I think that BWs approach has been to buy some time with a better IFE product (for those who use their devices on board) and seating for their better Y passengers who used to try to upgrade. Maybe after the election this might be addressed. I doubt that the PNM would want the opposition to run around ranting that they are "wasting money on fancy planes when oil refinery workers are being thrown on the breadline". I do think that this issue must be under discussion as there were vague implications of this when the current CEO was feting his Guyana market. BW needs to assess whether their Jamaican routes make sense as that market is increasingly competitive and BW continues to lose ground. Probably closure of those loss making routes might make new planes more palatable. Their lift is already a fraction of what it was when BW took over JM's routes and even into KIN they are increasingly becoming a non factor. Last edited by guyanam on Fri Oct 19, 2018 9:23 pm, edited 1 time in total. Interesting, however I'm not sure what the situation with PetroTrin has to do with CAL's strategic decisions; they are two different companies operating in two different competitive environments in two different industries. CAL's strategic plan 2018-2021 was approved by the board and cabinet a couple of months ago that includes the fleet evaluation and replacement plan. 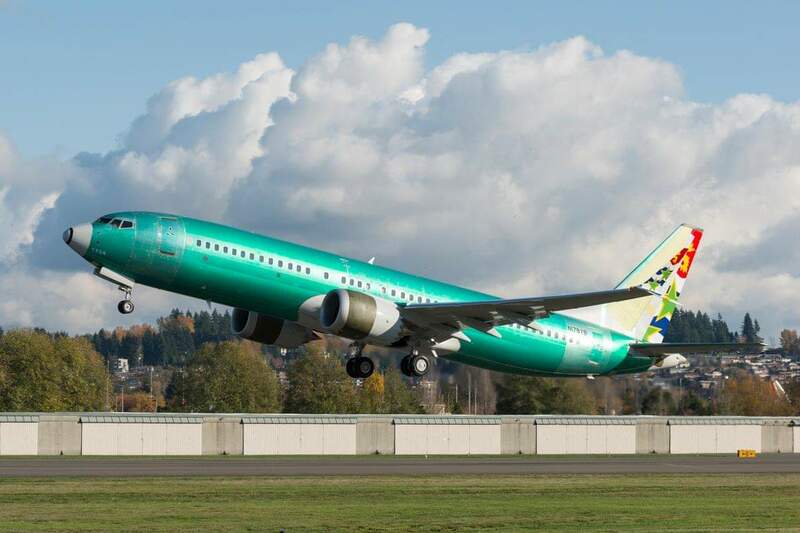 The fact remains that CAL is leasing all of its 737NG fleet, which are coming to an end in early 2020 to mid 2021, and the airline has already concluded the RFP process to replace that fleet. The ATRs are staying as there is no competing a/c to replace it on the routes they operate on. 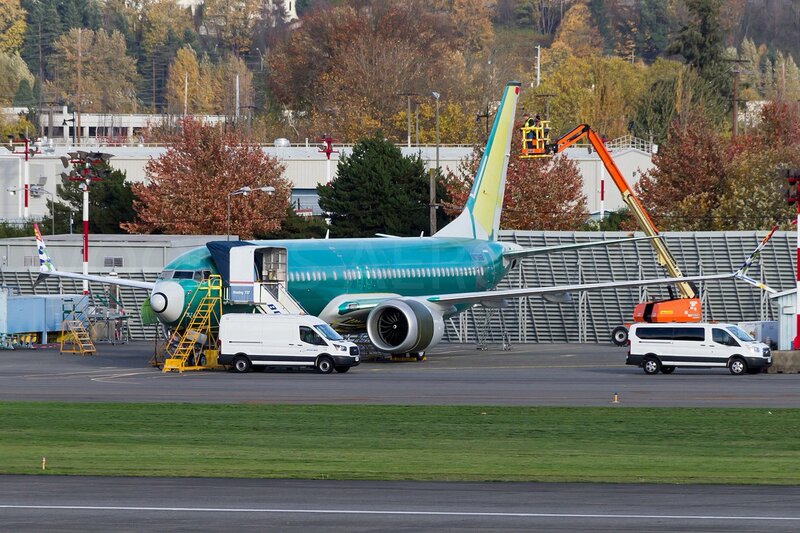 As for the narrowbody fleet, it is being finalized that CAL will go with the 737MAX on a one for one replacement to the NGs and the first a/c is expected on property in late 2019.
a) Infrastructure: TAB's terminal is a joke and for years airlines have told the authorities to make improvements, imagine that POS has had a new terminal for 18 years now and TAB has seen very minor upgrades. VS and BA said they would like to do more strategic marketing and additional lift to the island however ever year they get complaints on the experience with pax waiting outside either in the hot sun or rain. It was why the Flight from Scandinavia has not returned. and airlines plan on not having 2 widebodies on the ground at the same time. The same goes for the cruise port. b) Lack of recognized hotel brands and marketing; The last international hotel brand Hilton, left for the above reasons and that is why Sandals and the TAB terminal projects are going hand in hand. The government is also talking to another international brand on adding rooms to the island and finding someone to manage the current Magdalena Hotel(previously Hilton). TAB needs tp expand its room inventory and hopefully once all goes well, this issue will be resolved. Once these are taken care of TAB can attract flights from Canada and the US and additional flights from the UK and Germany as well as new flights from other European countries. I think re Tobago, your second point is a much bigger issue than the first. There are several examples of islands with relatively equal or lesser infrastructure doing relatively well in attracting tourists (EIS, AXA, SKB, NEV, SBH). Not saying that the airport infrastructure isn’t important but if your tourism product is attractive enough, people will come regardless. In terms of attracting airlift directly to Tobago, I think another major issue is its connectivity to Trinidad. For most people coming from North America, it would be significantly and more convenient (in terms of frequency) to fly in to Trinidad and then self connect to Tobago for $50 RT. Why bother taking a more expensive flight in to Tobago when I can fly for less to Trinidad and then connect on any of the myriad of flights between the two over to Tobago for that relatively small sum? Trinidad has attractions such as the pitch lake and Asa Wright Nature but is poorly marketed, resulting in few people seeing the country as a twin-centre holiday break. This inevitably reduces the attraction of going to POS purely to get to TAB. I believe AC and WS are going to be 13 weekly to BGI, with a which to AC mainline widebody halfway through the season. UVF, ANU will be a daily YYZ flight for the winter season. Seems like Sunwing is starting routes that AC/WS aren't necessarily strong on eg. SVG. Great news for TAB, would this be their first direct route to Canada? Caribbean484, has Caribbean Airlines already finalized the MAX order? I didn't know this(?) When will thet announce this officially/publicly? [Interesting, however I'm not sure what the situation with PetroTrin has to do with CAL's strategic decisions; they are two different companies operating in two different competitive environments in two different industries. CAL's strategic plan 2018-2021 was approved by the board and cabinet a couple of months ago that includes the fleet evaluation and replacement plan. PetroTrin is relevant as both are gov't owned and so the public will connect what happens to one entity with what happens to the other. Having said that a quiet one for one replacement of a plane with a similar type can be politically spun to deprive the opposition of a vote getting issue. WILLEMSTAD - Corendon Dutch Airlines plans to station one 189 seat Boeing 737-800 in Curaçao over winter 2018/19 to boost services to the Caribbean and Brazil. The Boeing 737-800 flies from Curaçao from mid-December to the islands of Aruba and Sint Maarten and to Sao Paulo in Brazil. Corendon Dutch Airlines does not sell tickets itself but carries out the flights on behalf of Curaçao-based Divi Divi Air. Good for Divi, this will hopefully give them plenty of passengers for their short hops to Aruba and Bonaire, and maybe sufficient income to look at replacing the long-serving Islanders. Actually they're going to expand the both their Twin Otter and Islander fleet with one of each in November. Air century did a Demo of their new A/c today at SXM, AUA, CUR and PAP, the CRJ 200 HI1034 did the travel. Due to start ops on Nov 12 to SJU, SXM and CUR. Sky High Aviation added thier first ERJ145 today too, HI1024, formely with Republic Air, a failed project here at DR.
Current Destinations #Bonaire #Curacao #Stkitts #StMarteen #Cuba #Tortola #Aruba #Antigua #Anguila #Jamaica and soon Estatius, Bahamas. Grenada will get additional flights from Toronto this winter. Sunwing will have its first Grenada flights on Sundays from 16 December 2018 to 21 April 2019. Air Canada Rouge will add a third weekly flight on Tuesdays from 18 December 2018 to 2 April 2019. Rouge is twice-weekly year-round, quite a change from the time when it was only weekly in the winter. All flights will be operated with the 319. CAL has been having a good year so far but the usual POS-TAB is dragging down the performances, and fuel is up from last year, nether less the airline's network performance has been on the ups and hopefully continues. The unaudited accounts for the nine months to September 30, 2018 show Earnings Before Interest and Taxes (EBIT) of positive TT$96m - this is comprised of TT$118m on international and other operations and negative TT$22m on the domestic air bridge. Caribbean Airlines’ improved performance has been achieved despite the aforementioned losses on the air bridge which continue to occur. Since 2005, the adult fare on the air bridge has been fixed at $150 one way, irrespective of rising fuel costs, for which the airline receives no subsidy. The actual breakeven fare on the air bridge is $300 one-way. Of that sum, the passenger currently pays $100, the Government subsidy to the adult passenger only is $50 (children receive no subsidy from the Government) and Caribbean Airlines absorbs the loss for the remaining $150 or $200 depending on if the passenger is a child but occupying a seat. · Launched new products, features and services including: Caribbean View, Caribbean Upgrade, Caribbean Plus, Caribbean Explorer, online Caribbean Miles redemption, Online Webchat, WhatsApp Chat, and Caribbean Café. · Caribbean Airlines has ranked 25th out of 164 global airlines for September 2018, for on-time performance by the OAG (Official Aviation Guide) Star Ranking. Caribbean Airlines sincerely thanks its valued customers and stakeholders for their continued support and patronage. The absence of Dynamic from the JFK GEO and less intense competition by B8 into POS is probably helping them. Their Jamaica routes continue to indicate dwindling market share. And why are Dynamic and B6 now providing less competition? Dynamic has exited the JFK GEO market. B6 has reduced its peak service on the JFK POS from 2x daily 320 to a daily 321 and its FLL POS service is also reduced during non peak periods. Hello all, hope all is well ! Is AG still planning on serving AUA - SXM this year? I remember hearing about it on here, and is a "future" destination on their wiki page... any insight? well looks like FlyJam is down at 752. Glad everyone is safe. I don't think the demand is there so I highly doubt they will ever start that route. Time will tell. It's a bad-looking crash which could easily have resulted in fatalities. This incident could bring down OJ whose reputation wasn't especially good anyway. AA is also beginning service to GEO in a few weeks. Given that most of OJs JFK GEO flights are routed via KIN a connection in MIA on AA isnt that much different. DL is also beginning JFK KIN as well. So OJ's market is becoming more competitive. Their baggage allowances are more liberal so that might help them. One of KX new MAX 8 took off for a flight test. Can't wait for them to receive it! OJ had a weekly JFK-GEO and a weekly YYZ-GEO, both scheduled with the 757. With the 767 reportedly undergoing heavy maintenance BW should be able to take that traffic as YYZ-POS-GEO is daily and JFK-GEO-POS is daily with an extra Sunday flight from tomorrow (Sunday) until 24 March 2019. AA will start MIA-GEO 4x weekly from 15 November and DL will be daily on JFK-KIN from 20 December 2018. OJ also carried quite a few people though its KIN stop to GEO. In fact BW has REDUCED its JFK GEO from 10 nonstops to 8, maybe in response to AA taking some market share once it begins service. BW added the extra sections when Dynamic exited the market. On the JFK KIN route the big beneficiary for OJs troubles will be BW as many who use OJ do so for baggage. I suspect DL and B6 will be battling it between them. interCaribbean apologizes for the following flight cancellations and deeply regret any inconvenience to our passengers as a result of our schedule cancellations listed here and do truly appreciate your patience and understanding during this period. No surprise about Intercarib as their expansion is too rapid. When folks on Tripadvisor praise LIAT you know that this airline has a problem. What’s the real problem, why all those cancellations? Aircraft shortages? Crew? Their FB says crew training issues. Drastic and I wonder how they will accommodate people given that on many of their routes there aren't many alternatives. Looks like Air Sunshine has been having much success with their new B1900 routes. In the morning, 5x/wk NEV-SKB-AXA-STT with on-demand stops in EIS and VIJ. I believe they also do crew change in EIS. The other 2 days, their morning run is SLU-DOM-STX-STT. In the evening, the routes run same frequency in the other direction. Beginning Nov 19, STX will be added as a stopover on their SKB/NEV runs. They also do a 6x/week afternoon STT-DOM-STT with occasional stopover in STX. I believe every 7 days they do an afternoon STT-SJU-STT run for maintenance in SJU. With them operating their sole B1900 almost 12 hours a day shows much business they're doing linking the USVI with the Eastern Caribbean. Not sure how often their C402 flights are running, though. They advertise daily STX-STT flights but have called on two occasions to find that they're not doing the route that day. So all ends well. Air Sunshine runs flights fully allocated to SKB/NEV with size appropriate planes and LI uses its larger plane for flights to ANU with connections to SLU and points further south. LI isnt interested in travel within the northeast Caribbean. LI has a few willing customers in the STT-ANU-SKB market. Even with the long layover, LIAT's fares and baggage allowance beat Air Sunshine.